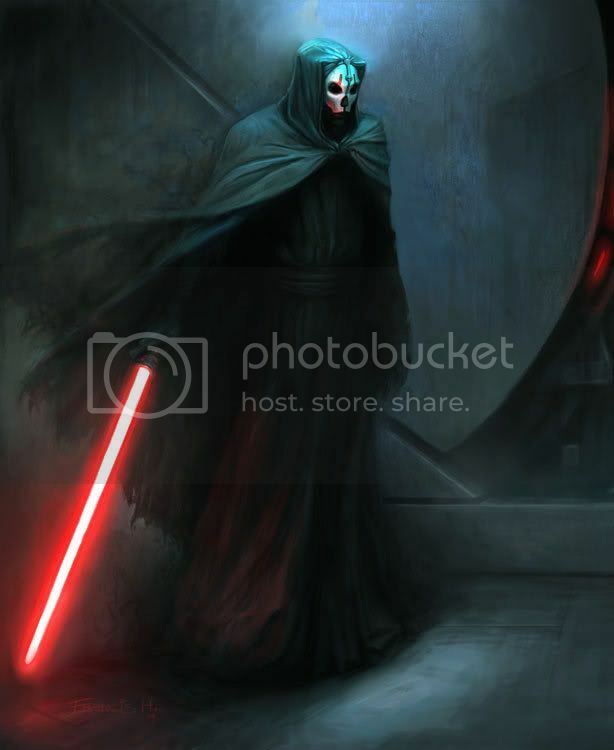 Can someone please make a darth nihilus model with his hair visible ? For all who don't know how it looks like here are some pictures of the official action figure. There is no official action figure, that was made by someone. Nihilus had no physical body, if you chose the option to take his mask you would know that. It would kinda ruin it for me if Nihilus had proper substance. My guess is that Hasbro were recycling a different action figure and painting over what they already had. Kudos for... "saving the world" 'n' all, but a big boo-hiss for ignoring the character's story. On a different note, his lightsaber is pretty. [COLOR=DeepSkyBlue]His lightsaber reminds me of something women use to please themselves. As for Nihilus with hair, yeah that's just not right. Nihilus doesn't really have a "body" you could say. I mean, I don't recall ever being able to see his feet, or anything else of him. If he wasn't just dark side power, then how come you can't see the bottom of his face right below the mask? ^I don't think there is even a non ported Nihilus model that someone could even edit to make this unless a entirely new model was made with this as an option.